Jessica Paré, Brian Gleeson, Stanley Townsend et al. Twenty-something Alan is down on his luck. Stood up at the altar and recently fired from his banking job, he finds himself working with his mother as a part-time tourist advisor at Dublin Airport, it's there he comes face to face with first love Alice, stuck on standby for a flight home to New York. Their summer romance ended eight years previously with Alan promising to return to the US one day. He never did. and they haven't spoken since. Seizing his chance, Alan convinces a reluctant Alice to stay one more night in Dublin. Over the course of an unforgettable evening, they may just realise that they are more compatible than ever. But time is running out on this brief encounter. When does an unexpected second chance, become the one you've always been looking for? 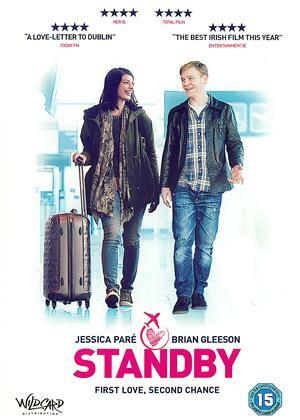 Directed by Ronan and Rob Burke, "Standby" is about what happens when your 20s don't go how you planned and falling in love, with a girl and a city again.